Designed and pieced by Judy Martin. 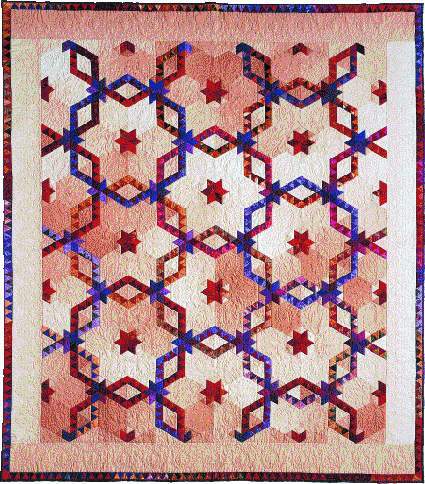 Machine quilted by Jean Nolte. Judy has long been fascinated with Double Wedding Rings. She has played with the illusion of interlocking rings many times. 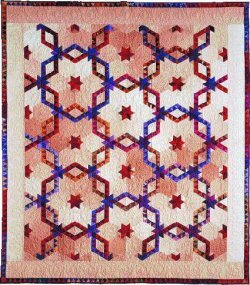 Her most famous examples are Tennessee Waltz, which she designed for Scrap Quilts, and Monet's Wedding Ring, which she did for Scraps. Grandmother's Wedding Ring features hexagonal rings framing stars, another frequent Judy Martin touch.